EAST LANSING — What did you do on your summer vacation? A pair of married doctors from East Lansing will have a good answer for that this year. They are joining a large humanitarian effort to help Syrian refugees living in camps in Jordan. Dr. Ahmed El-Sanhouri, 38, a retina specialist and his wife, Dr. Aya Zaky, 32, a dentist, will join the six-day humanitarian effort in Jordan, where 1 million refugees from war-torn Syria have fled. The couple used vacation time and paid their own travel expenses. They even packed their own medical supplies for the trip, with patients chipping in to help. El-Sanhouri’s job will be to treat diabetic retinopathy. Zaky is a dentist with East Lansing Family Dentistry. She previously worked for Michigan Community Dental Clinics, serving low-income patients. She will focus on children in need of dental care. “Helping other people makes me happy. You feel like you have an impact on somebody’s life. It’s very important,” she told the Lansing State Journal . It’s the first humanitarian trip for them. Zaky is fluent in Arabic and El-Sanhouri speaks some. Both were born in Egypt but moved to the Detroit area with their families. El-Sanhouri was a preschooler when he moved to the U.S., while Zaky was already out of college. He got his medical degree from Wayne State University while she went to dental school at University of Detroit Mercy. Friends introduced them. 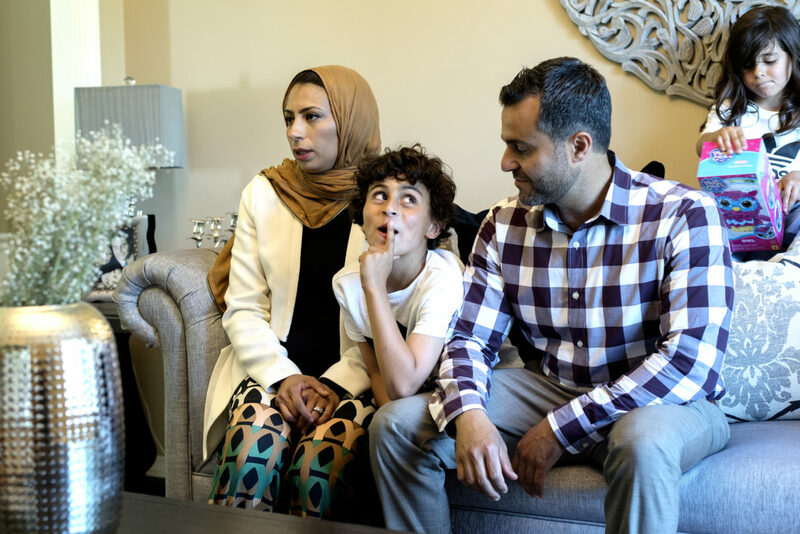 They’ve been married 11 years and have three children: 9-year-old Yusef, 5-year-old Noor and 2-year-old Yasen.